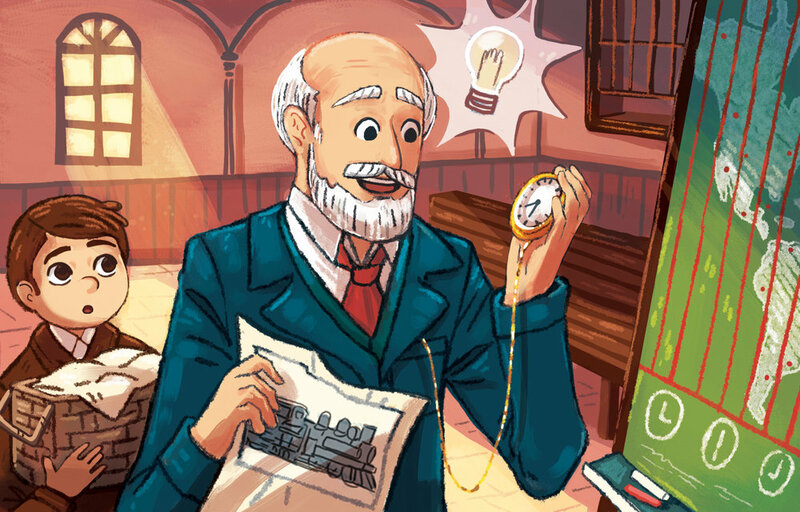 Kayak: Canada’s History Magazine for Kids - This issue was about SANDFORD FLEMING and how he created time zones. 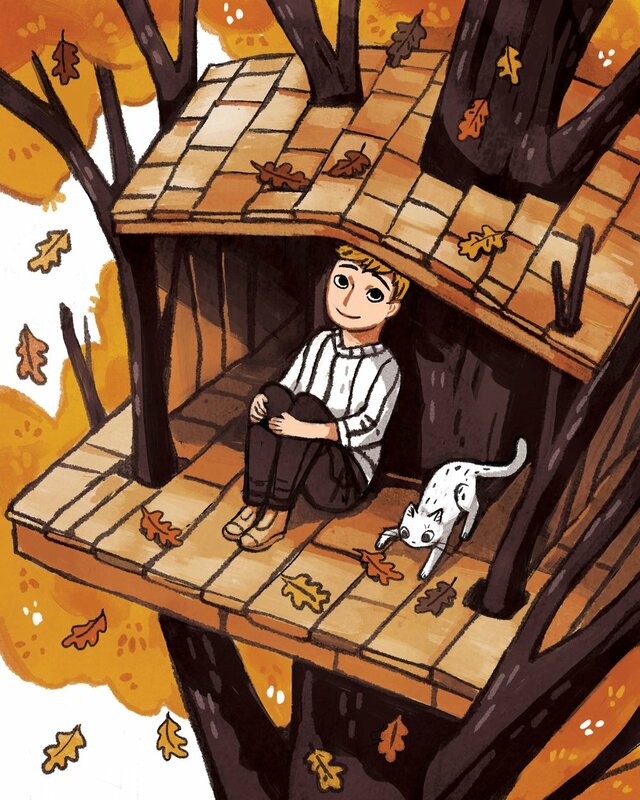 Fall Promo Illustration - An illustration I used for promotional purposes las fall. Hanukkah Harvie Vs. Santa Claus, Published by Library Tales Publishing. 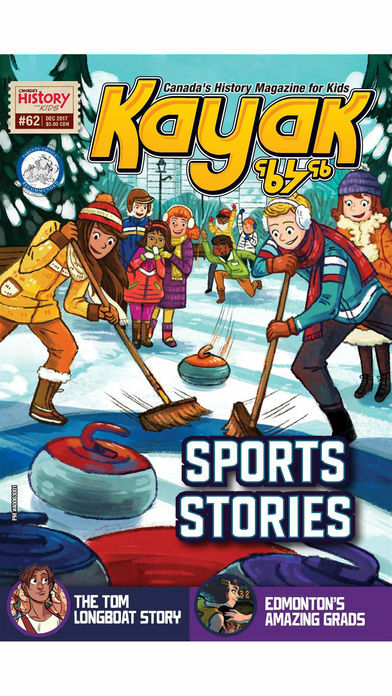 Kayak: Canada’s History Magazine for Kids - Issue 59 - This issue looked at the Great Depression, the Halifax Explosion, emergency response and natural disasters. Modern Dog Magazine - About a little girl with epilepsy teaming up with man's best friend! Spread for Hanukkah Harvie Vs. Santa Claus, Published by Library Tales Publishing. This piece was featured in the 2016 Cheltenham Illustration Awards Exhibition at the Wilson, and was also published in their 2016 Annual. 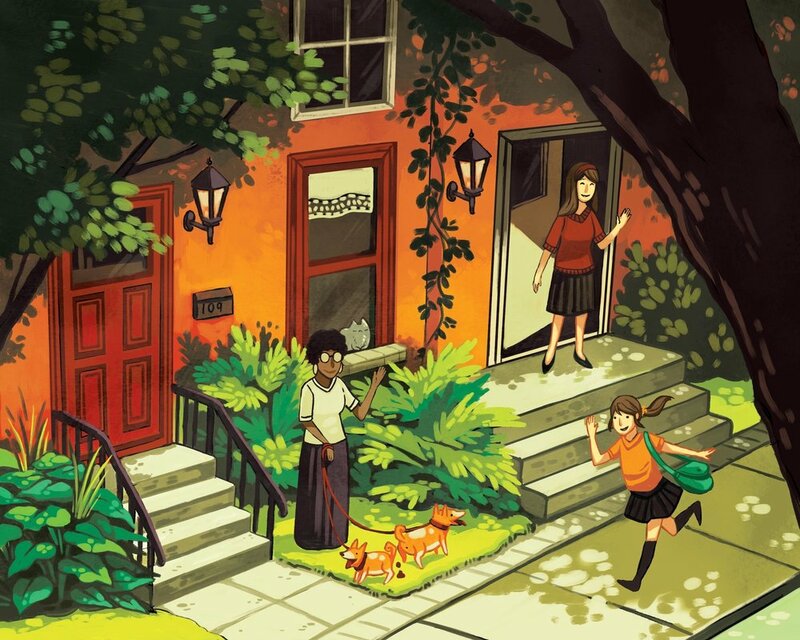 Monsters In My House - A spread from My Self-published children's book Monsters In My House won the Brenda Clark book prize award in 2014, it was also short-listed for the Canadian Self Publishing awards in 2014.